-- I'll hit on the Giants debacle with Eli this week. Just note -- Davis Webb is going to start Week 14, per my sources...and he is pretty good. He's in an impossible situation but watch him show a little spark. -- A prediction I made, that no one cares about, this morning came true just a few hours later...TE Ross Travis claimed by the Colts. Not what I hoped, but what I figured. The new Indy GM is from the KC group...so he would have known...and that's what happened. *Held bad BAL and CHI to 16 offensive points each game in Weeks 10 and 11...bad QBs/offenses don't crush GB. Part of the GB defense's issue is they have had a tough schedule all year. Versus CHI 2x, MIN, BAL (their 4 easier QB matchups)...17.3 PPG allowed. -- Did you know Doug Martin is in concussion protocol and Jacquizz Rodgers may start this week? Just a note for those in need of a free agent gamble to see how it shakes out for Martin being cleared or not. 7:00pmET: First take on the Week 13 projections. We are still digging and adjusting, so any changes we'll report here before midnightET and if a number of them we'll have a 2nd update before midnight. 3:30pmET: I pray you bet the Oakland Raiders yesterday/this morning vs. waiting...Geno Smith is now starting this week, are you kidding me? Time to look at TE alternatives too...will this season ever stop kicking me in the groin? 3:13pmET: The Computer says that the DET at BAL (-3.0) game should actually be DET -3.0. Baltimore one of the worst offenses in the NFL...2nd lowest 3rd-down conversions in the NFL...barely ahead of Cleveland. Detroit has a solid offense and defense and has their O-Line getting healthy. Baltimore is 0-4 against teams with a winning record. The Lions are 1-5 against teams with a winning record, but three of those 4 losses were by less than a score...some of them last second...whereas the Ravens tend to get whacked when playing 'up'. Also, the Steelers the following week for the Ravens...'trap' potential with a really bad 6-5 team. 2:35pmET: Washington's season comes down to this week vs. Dallas. The winner has playoff life and the other is dead. If Jordan Reed doesn't play this week, and the Redskins are 'done'...I expect Reed to then be shutdown for the rest of the season. You have him...you hold this week if you can and then that may be it. 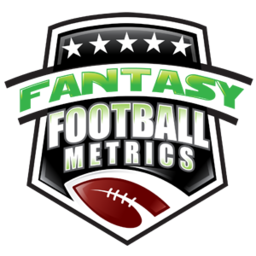 -- I cannot imagine the 49ers not starting Jimmy Garoppolo this week, and we'll be re-examining the pros and cons of that for fantasy today in the SEA-SF recap. Garoppolo v. Trubisky...poetic this week. Sadly, Trubisky is locked in a cage...not Garoppolo. -- Jameis Winston 50-50 to start this week, but I'd guess it will be Week 14 for his return. -- This may mean something to a few of you -- DT Marcus Hardison is working out for the Patriots. I'll elaborate if he is signed. -- The Giants has 2 WRs at tryouts yesterday...I'm thinking there may be a deeper Sterling Shepard issue. Be ready to not have him this week, and that affects Evan Engram again. -- Miami signed RB De'Veon Smith off the practice squad, and let me be clear on my scouting of him -- he is the worst RB talent on an NFL roster right now. Worse than Peyton Barber. -- KC waived TE Ross Travis...we'll be keeping an eye on where he lands...that could be a fantasy/dynasty impact signing if any NFL team is paying attention -- which means no one will sign him and he goes onto the KC P-Squad. In this case, I'd bet he gets signed...and my guess is Indianapolis...and I wouldn't like that. My 2nd guess is Philly, and that's not good either. My wish is: The Rams. -- The Giants signed LB Jeremy Cash...watch that for deep IDP rosters as a sleeper the next few weeks. -- None. NE-BUF will be high 30s is the coldest game for Sunday. PIT-CIN will be low 30s for MNF. -- Critical times for all trying to make/hold the playoffs or lock up division titles...Week 13 projections 1.0 should post between 7-8pmET.